The Apereo Learning Analytics Initiative is beginning work on our first open source analytics pipeline processor this week. Learn more about Learning Analytics Processor project on our wiki. Our goal is to build an Open source Java based Learning Analytics Processor (LAP) which initially automates the Marist OAAI Student Early Alerts and Risk Assessment model. We also hope to establish a framework for automation and execution of learning analytics models (which is possible for others to extend with additional model pipelines). Finally we plan to establish input and output specifications for data used for learning analytics model processing. 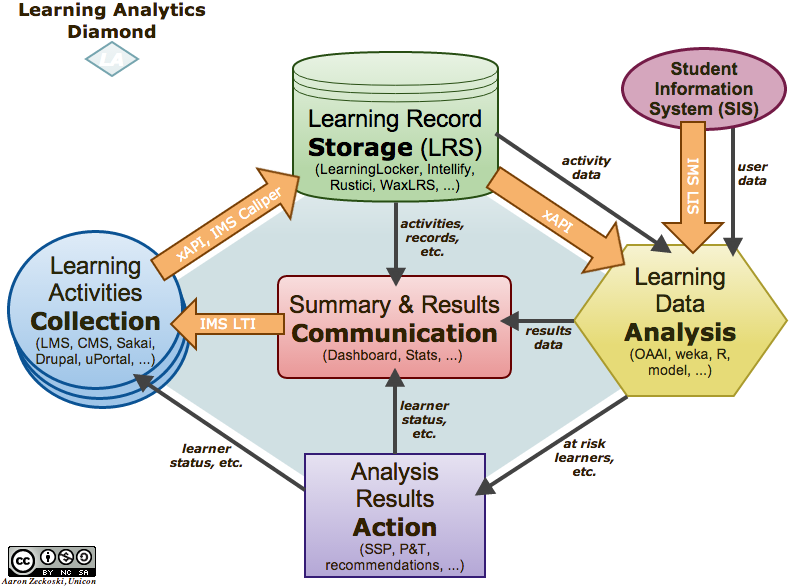 The Learning Analytics Processor (LAP) is meant to flexible enough to be extended to support many possible models and pipelines for analytics processing. The first one will be Early Alert but we want to support future additions and even multiple versions of the Early Alert model.